Classroom Support provides general information and technical support for UAS classroom technology. We offer support over the phone and provide walk-up assistance at the Classroom Support desk, which is located in the entrance of the Egan Library. Our primary purpose is to collaborate with Staff and Faculty to create an exceptional learning environment for students. Student computers are available in the Learning Center, Writing Center, and Egan Library. All checkout equipment, including virtual laptops, are now checked out in the Egan Library. Located on the first floor of the Egan Library, the Learning Center has 8 desktop computers for student use. Located on the first floor of the Egan Library, the Writing Center has 8 desktop computers for student use. 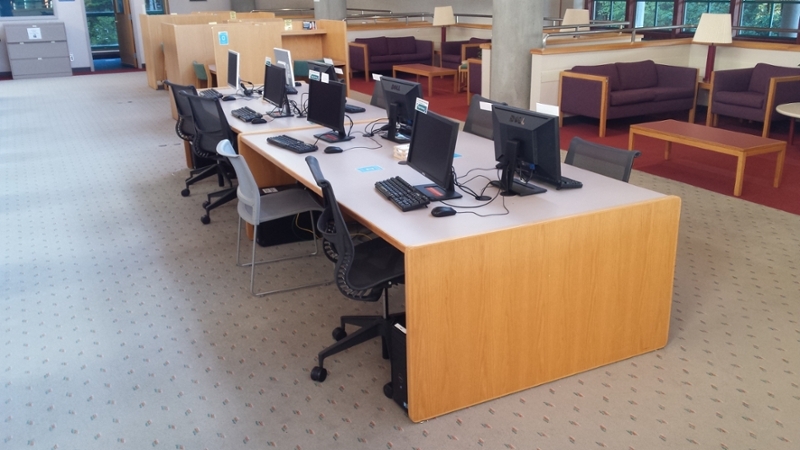 The main floor of the Egan Library has 12 workstations for student use (must have active UAS credentials to login). There is also a bank of 8 public computers located in the same area near the Reference Desk. Working for IT Services can give you valuable experience with computers, customer service, and classroom support. Find available positions and apply at the University of Alaska jobs and careers site.